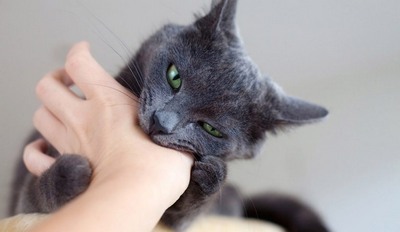 All cats love to bite. This is an obvious fact and if you are an experienced cat owner you either love a cat’s behavior or hate it. However, if you are a new cat owner you may be a bit freaked out the first time you experience cat love bites. You may be wondering if you are doing something wrong, that makes your cat bite. Why do cats give love bites? And how can you stop cat love bites from happening if you don’t like them? In our article we will answer these questions. There is a difference between cat love bites and other cat bites. And there are many different reasons why cats may bite, so it would be good to know more about different types of cat bites and why they happens. Certainly, we will never fully understand every trifle of what goes on in our cats’ thoughts, but still there is general consensus among feline researchers and veterinarians. Love bites are usually a form of feline affection or a cat’s way of verifying ownership. (Yes, many cats think that they own us, humans). and they may include rubbing your lips or cheeks, purring, kneading your skin and other types of physical contact. If you are uncertain that your kitty is doing love bites you may watch this small video about what cats love bites look like. Is it love or overstimulation? 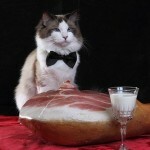 Some cats may suffer from hyperesthesia syndrome. 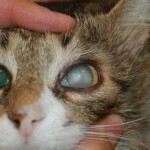 What is hyperesthesia syndrome in cats? Basically it means that cats don’t tolerate being handled or petted. Sometimes cats can even act as if they have pain. As long as your cat can’t say to you “Hey, this is hurts!” he needs to find another way to tell you about this. And biting is the way. Some cats only resist being handled or petted on certain areas of their body, while others may be overly sensitive everywhere. Hyperesthesia syndrome is thought to be more prevalent in Oriental shorthair breeds such as the Burmese, Siamese or Abyssinian, but the condition can occur in any cat breed. So pay attention, if your cat’s love bites turn into skin-breaking bites, they are no longer love bites at all. Why do cats give love bites? Cat owners, vets and feline researches agree that “cats and love bites” are common things, and we don’t completely understand cat’s motivation for giving love bites. It would be helpful to keep a log when your cat gives you his love bites. Not only to understand how often it happens, but also to make a note about what happened the bite. Maybe your cat was trying to get your attention, but you were busy at that moment. Did the biting start out gently but then get harder? Was your cat purring or hissing? Did you see any signs of aggression or defensive posture (flattened ears or raised hindquarters, for example). With time, all these observations may help you to decode your cat’s communication so you will know how to avoid actions that trigger love bites. And if you suspect that your cat may be suffering from hyperesthesia syndrome, you should take him to the vet. 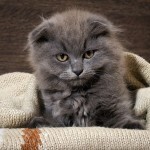 If we are talking about kittens, then it is common thing to them to bite something, just because they have to go through a teething process. During this process, a kitten can bite everything in sight in order to relive the pain and pressure of new teeth growing in. Kittens, like human babies, also explore the world and use teeth for this purpose. So sometimes it is important to give a kitten enough time with his mother so it can get adequate socialization. However, if you have rescued a kitten and are nursing and raising it by yourself, it could be difficult to train your kitten not to bite. Why does my cat give me love bites? Cats have a surprising number of scent glands around their face, mouth, ears, neck and head. The rubbing releases chemicals called pheromones. If another cat happens along and nuzzles up to you, he will smell the pheromones your cat left through the rubbing behavior and will receive the message “Hey, buddy, this spot is taken.” So by such behavior your cat marks you as his property. Just because love bites are usually harmless, doesn’t mean there is no cause for concern. This is particularly true when it comes to children, whose immune systems can be more vulnerable to cat-borne bacteria, viral matter and parasites. The two most concerning zoonotic (diseases that can be spread from animals to people) cat-borne diseases are rabies and toxoplasmosis. But the most common disease is called cat scratch disease. This disease arises after a cat scratch or bite that transmits bacteria under your skin. Of course, all these diseases can be treated by medications, but it would be much better to avoid them at all. So it is very important to teach children not to permit cats to touch, bite or rub their faces and to make sure children always wash their hands after playing with a pet cat. 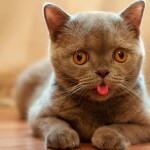 If you are a cat owners who doesn’t love cat bites at all, then you might ask a question – how to stop cat love bites from happening? The key here is to go back to your former notes and observations and begin looking for patterns which trigger cat love biting. When do the love bites occur? What was happening just before you got each love bite? Were you playing with your cat or petting him in a certain area? If you can find the cause of the cat’s love bites, then you will know how to avoid them. Gaspar, M., DABVP (Feline), “When Love Hurts: Demystifying a Cat’s Love Bites,” VETzInsight/VIN, 2016. Foote, S.J., DVM, “Prevent Bites – Two Simple Questions Everyone Should Ask,” Okaw Veterinary Clinic, 2018. Kornreich, B., DVM, “Feline Behavior Problems: Aggression,” Cornell University College of Veterinary Medicine, 2016. Nuwer, R., “There Is an Odd Link Between People Who Get Bitten by Cats And Depression,” Smithsonian, 2014. Salas, D., DVM, “Why Does My Cat Do That? Common Questions on Kitty Behavior,” TLC Pet Hospital, 2015. Brooks, W., DVM, DABVP, “Hyperesthesia Syndrome in Cats,” Veterinary Partner, 2009. Erasmus, S., “Diseases from Cats,” Health 24, 2003.